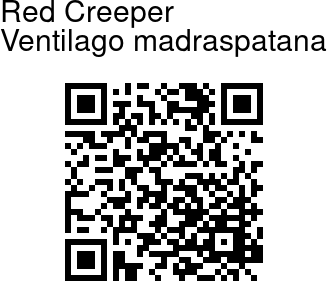 Despite its name, there is nothing visibly red about the Red Creeper. It is widely used to make a medicinal oil to apply to babies until around 3 years age. When The root of this plant is just immersed in coconut oil, it gives away red color. Hence the name. Red Creeper is a climbing shrub, found in Indo-Malaysian region. Leaves are variable - they can be circular to egg-shaped with an acute tip. Margins can be entire or serrated, and the surface can be smooth or finely velvety. 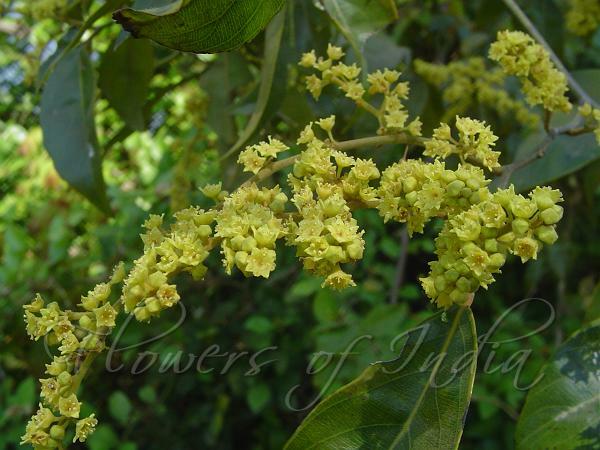 Small greenish-yellow flower are fscicled on leafless branches, with an offensive smell. Fruit is 5-6 cm, densely velvety, a pea-sized part and an oblong wing, 0.9-1.1 cm wide, surrounded by sepal tube at base. Some fishermen used the long climbing stems as ropes. It flowers in winters. Medicinal uses: Red Creeper is traditionally used to treat many disorders like skin problems, fever, and diabetes and also used as digestive carminative. It is believed to possess healing effect on dyspepsia, colic disorder, leprosy, scabies, pruritis and other skin disorders. The powder of stem bark mixed with gingelly oil is applied externally to treat skin diseases and itches. The root bark is used as a carminative, stomachic, stimulant. Identification credit: Prashant Awale, Dinesh Valke Photographed at Sudhagad, Maharashtra.